The Valoriani Esordio UK is an economical solution for the smaller and lower usage Professional environment. Available in a smaller range of sizes than the Vesuvio ranges it still has good heat retention properties and would compete with most Professional ovens available in the UK market. The Esordio can be delivered ready assembled or for more difficult access can be assembled on site in one day. 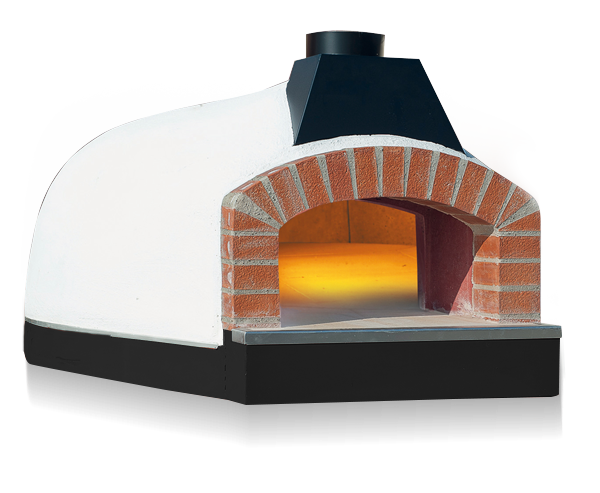 This UK specific oven based on the FVR UK features a 5cm deep world leading Valoriani cooking floor and a 5cm thick handmade refractory clay dome the UK model is tested and Licensed by DEFRA. You will need a base for it at a suitable working height or we can supply a steel stand as an optional extra.